It is 4:30 am in Libya. 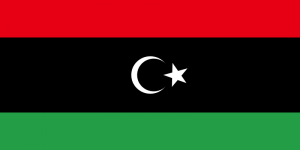 In a few hours, Libyan freedom fighters will take to the streets for a FREE LIBYA – even knowing that Gaddafi and his evil Inner Circle will stop at nothing to crush them. Here are some of the tweets I received in just one hour. They are from everywhere, from all those following the struggle. From those who want to show their love and encouragement in the last hours before dawn Friday March 4. By midnight at least 30 freedom fighters and demonstrators are dead. The foreboding tweets were all too true. Really inspiring and tragic at the same time. I hope the people of Libya will be free of tyranny soon.